At Tremblay’s Bus, your peace of mind is what drives our customer service. We consistently deliver the level of quality and professionalism that sets the transportation industry standard. Whether your trip is short or long, near or far, your ride will be safe, comfortable and smooth from door to door. You’ll be in the capable hands of a trained, skilled driver who takes pride in providing the first-class service that Tremblay’s is noted for. Our goal is to give you a travel experience that’s even better than you could have imagined. 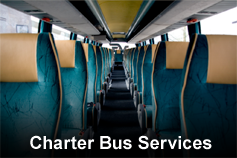 We specialize in school bus transportation, airport transfers, and corporate event and group tour charters. All of our vehicles are staffed by skilled and friendly drivers who welcome you aboard and make your trip a totally enjoyable experience. We guarantee a ride in latest model buses that are expertly maintained by our trained mechanics and thoroughly cleaned after each run. Whatever your next event and transportation needs, you can sit back and relax. Tremblay’s will deliver more comfort, safety and professionalism than anyone else. 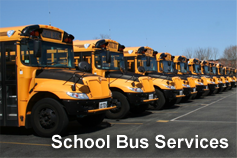 Tremblay's Bus Company services MA, RI, CT, as well as other locations across North America.